One of the books-into-movies we did talk about was Stephen Frears’ adaptation of Posy Simmonds’ Tamara Drewe. Here’s the just-released first official US trailer. 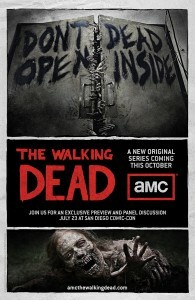 And finally, one we skipped because it’s happening on the small screen instead, is The Walking Dead. The SDCC-exclusive trailer for Frank Darabont’s vision of Robert Kirkman’s comic book was finally released into the wild this week. I got tense watching this, and I’ve already read it. 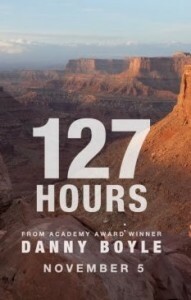 This entry was posted in blog, The Screen and tagged 127 Hours, Tamara Drewe, The Walking Dead, Trailer Park. Bookmark the permalink.